We knew Colorado liked pot, and now we know exactly how much: On Wednesday, 24 "pot shops" opened up in the state of Colorado, with the vast majority in Denver, and have pulled in $1 million in two days. "Everything's gone pretty smoothly," said Barbara Brohl, head of the Department of Revenue. We'll say. 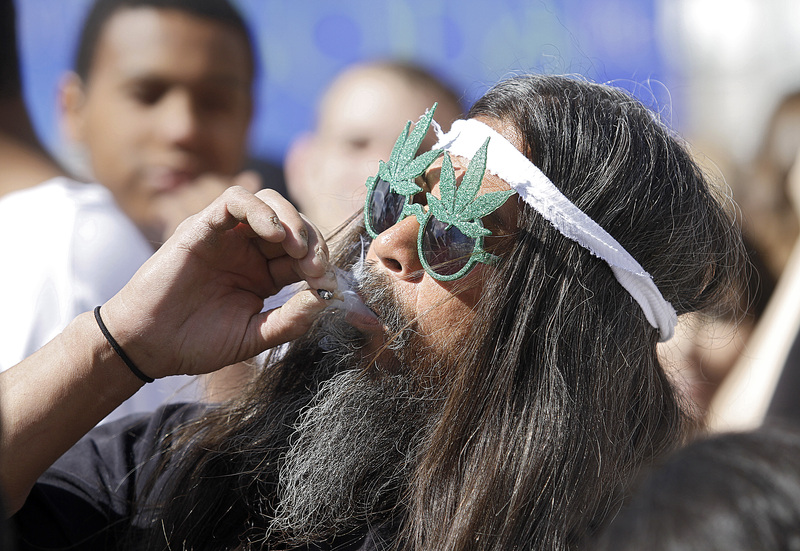 Everyone's eyes are on Colorado as the state rolls out the first fully legal marijuana industry in the United States. Customers don't require a doctor's note to purchase the product, as is required in 18 other states. And all of the marijuana is completely regulated, dissimilar to the Netherlands where weed goes unregulated by the government. As long as you’re 21, you’re eligible to buy marijuana at local pot shops. And you bet Colorado residents were ready to take advantage of this, and even waited in line for hours in cold temperatures and snow for the shops to open. "It's a huge deal for me," said 34-year-old Andre Barr. "This wait is nothing." Barr told 9 News that he’s a deliveryman who drove all the way from Michigan in order to be part of this groundbreaking experiment in legal weed. Thanks to a joint effort between Washington lawyers and the State Liquor board, the state has now become the second in the nation, following Colorado, to adopt rules for recreational marijuana sales. The legislation, which takes effect Nov. 18, took a year to devise and is incredibly comprehensive: In addition to capping state production at 80 metric tons,’ it also covers the size of ‘marijuana gardens’ and details what security will be in place there. Marijuana will also be taxed at a high rate, but the ”tens or hundreds of millions” it brings in will be redirected to drug abuse and public health programs.